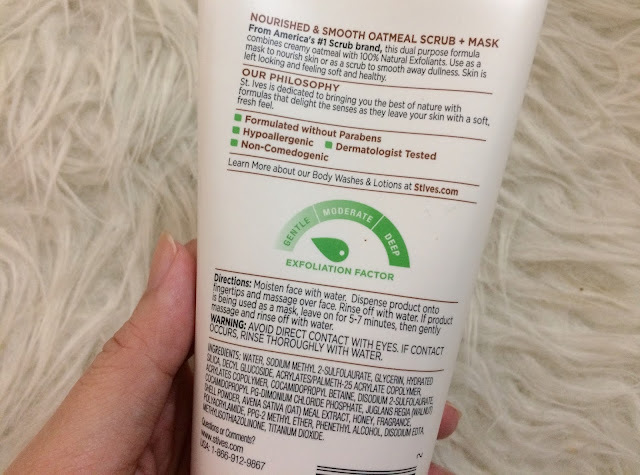 For today, I'm going to review the St. Ives Oatmeal Scrub + Mask, because it claims to soften skin & smoothes away drynesss so macam terus rasa nak beli because I have dry skin. 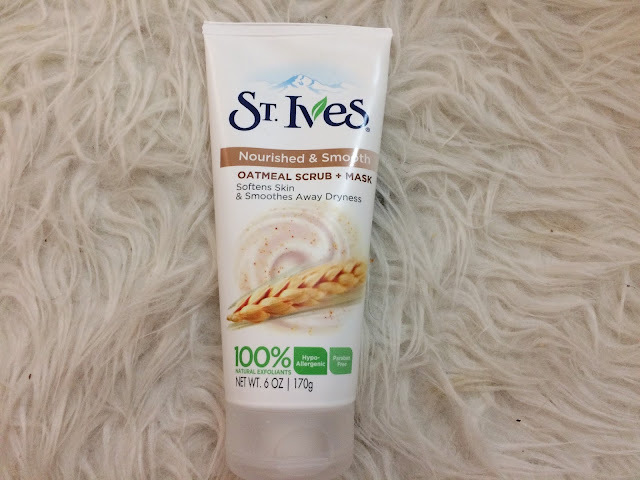 Dual purpose formula combines creamy oatmeal with 100% Natural Exfoliants. 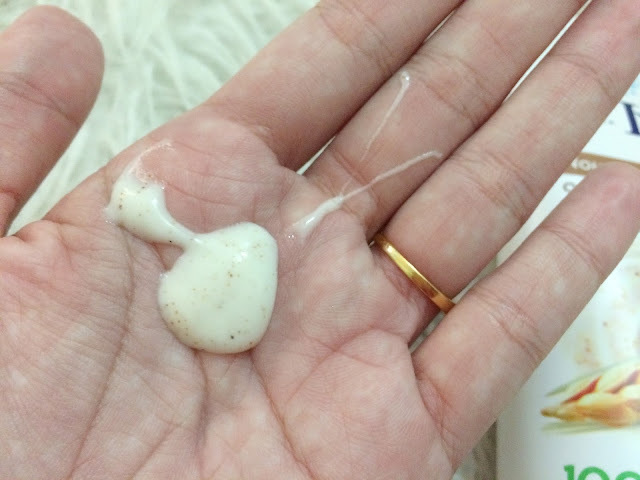 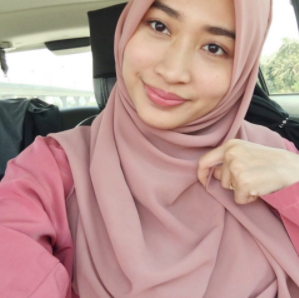 Skin is left looking and feeling soft and healthy.